Kitchens & Bathrooms - The Devil is in the Details. They say the devil is in the details, and when it comes to renovating and remodeling kitchens & bathrooms, it’s even more true. Kitchen and bathroom designs especially are a precise art, where every inch counts in creating a highly functional space. If you’re considering tackling your upcoming renovation or remodeling on your own, there are a lot of details that can make or break your project. But don’t let that scare you! There are lots of resources available to help you as you plan, or you can work with YouNique at any stage, from design to renovation – start to finish. There are so many things we take for granted when it comes to design. It makes sense, since when something is designed well from a functional standpoint, it’s usually seamless (i.e., invisible) and ends up making day-to-day life easier. 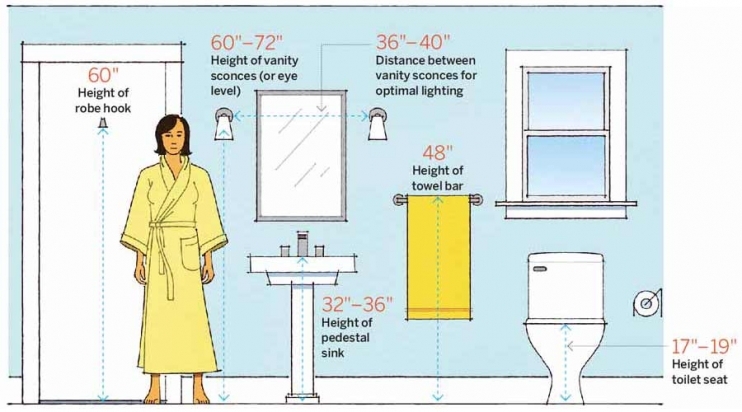 Consider the measurements in the illustration below – and these are just standard measurements, imagine customizing everything to your personal specifications, such as a slightly higher or lower countertop? The possibilities are endless – and mind boggling! Speaking of handy reference materials – one of the best we’ve found that every homeowner should take a look at before starting a renovation is This Old House’s ‘64 Important Numbers Every Homeowner Should Know‘. Another even more detailed reference with everything from distance between working centres to appliance placement and seating clearance is Better Homes & Gardens’ ‘Kitchen Layout Guidelines & Requirements‘. 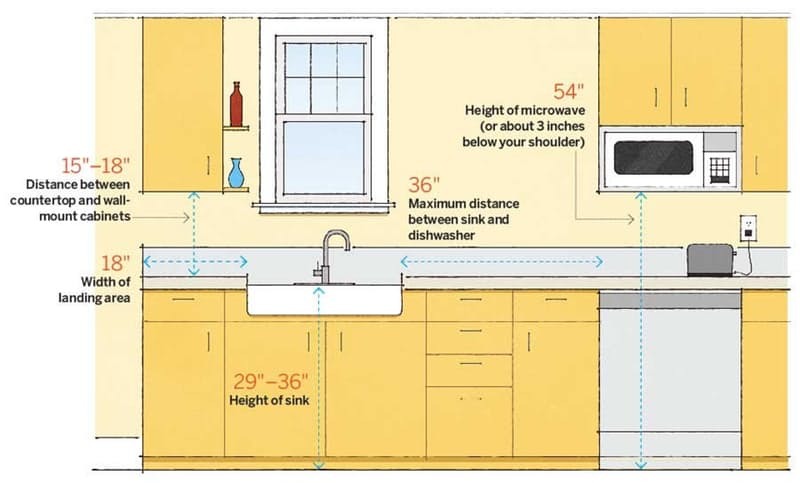 Whether you’re designing your dream kitchen from scratch or revamping your existing one, the cornerstone of all design starts with proper measurements. Let us know in the comments below if you have a question that one of our designers could help with, or share your renovation stories and lessons learned along the way. And don’t forget – we’re here to help, every step of the way – it’s what we do best!